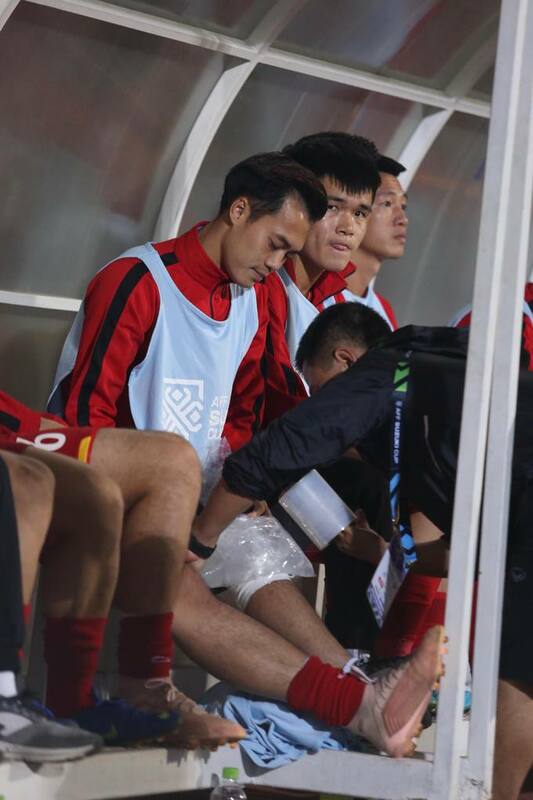 Vietnamese players make a wonderful gesture to Nguyen Van Toan, who caught up with an injury and could miss the rest of the AFF. 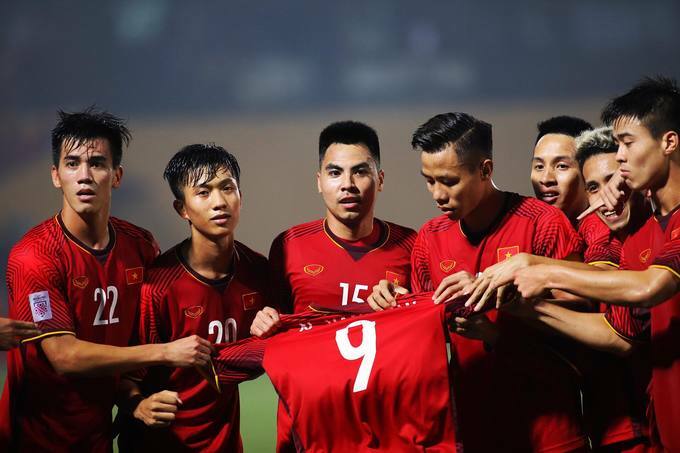 After Vietnam scored the opener in 39th minute of Cambodia match on Saturday night, team captain Que Ngoc Hai brought the number 9 jersey of striker Nguyen Van Toan out and the team held it up high in front of the fans and cameras as a tribute for Toan. 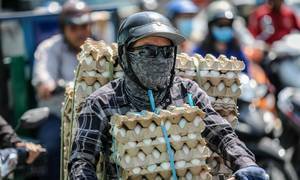 Toan was previously injured in the training before Cambodia match, and could miss the rest of the ASEAN Football Federation Championship (AFF) 2018. 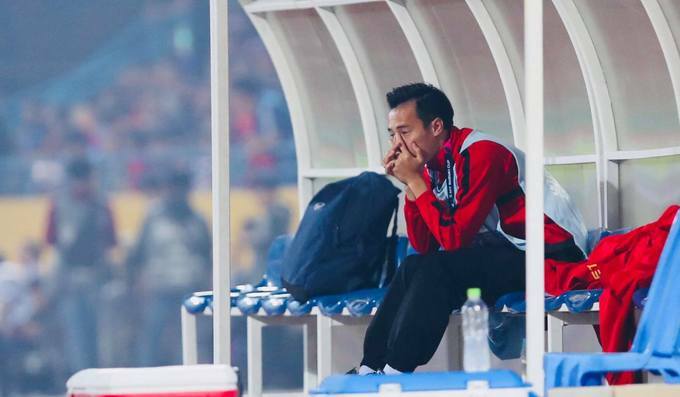 On the bench, Toan could not hide his tears for the love on the field. 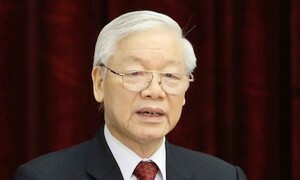 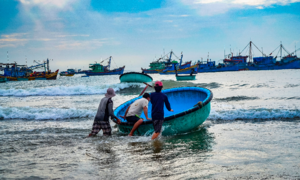 Toan played a key role in Vietnam's unprecedented history at the Asian Games last August in Indonesia, where Vietnam entered the semifinals for the first time in history and ended up in fourth place. 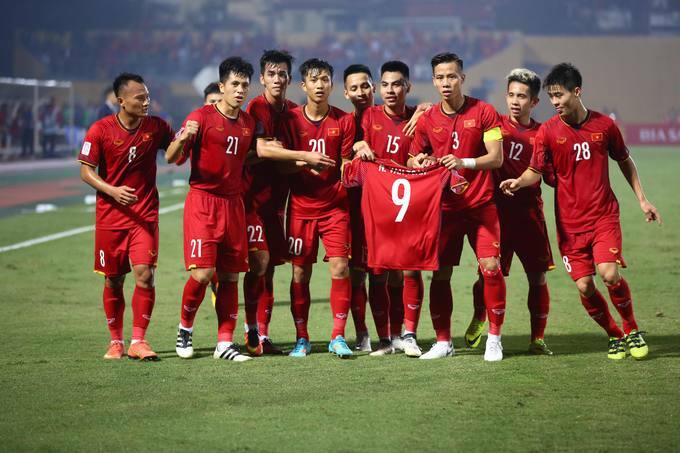 Nguyen Van Toan only played one game so far in AFF Cup 2018 against Myanmar. 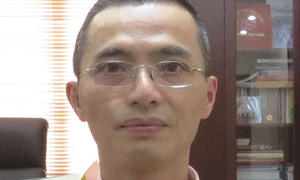 He got the ball into Myanmar’s net but the goal was canceled as it was ruled offside. 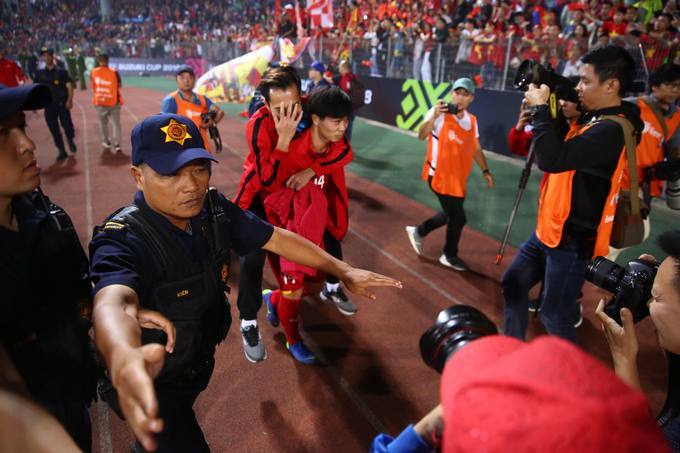 The referee decision has been controversial, objected by fans and some commentators. 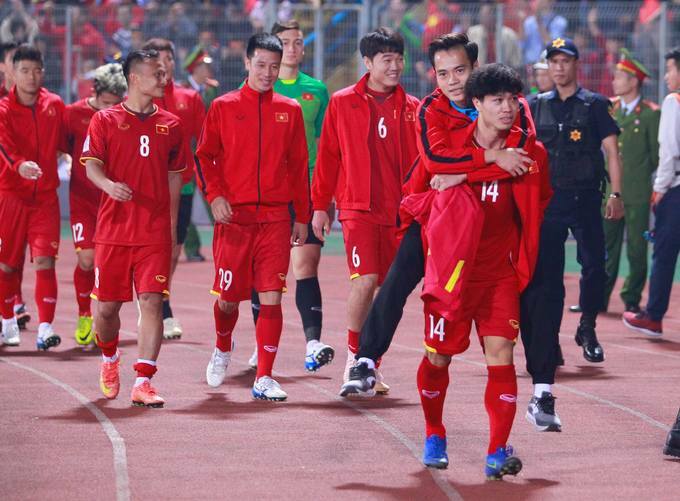 After the game, key striker Nguyen Cong Phuong carried Toan out of the stadium on his back. 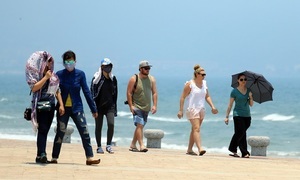 In front of cameras and thousands of fans encouraging and rooting for him, Toan was a little bit shy and covered his face. 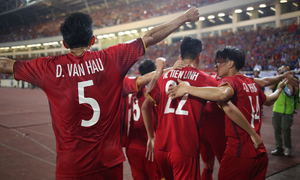 Vietnam secured the top spot of group A after 3-0 victory against Cambodia. 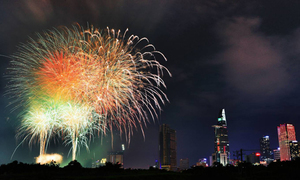 The first semifinal game will take place on December 2. 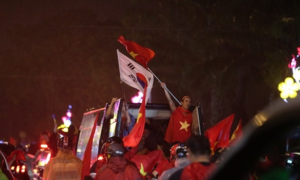 Vietnam will have a week off before semifinal round kicks off.